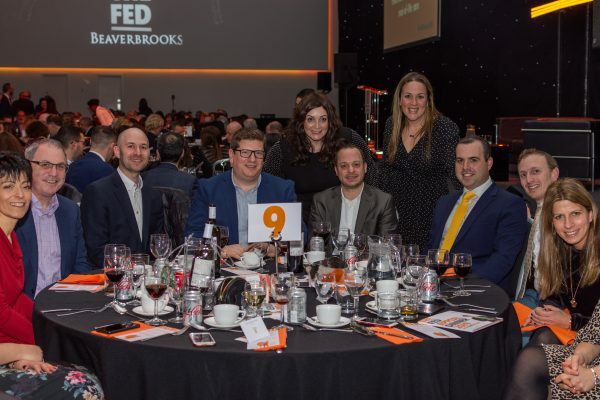 A dedicated crowd of four hundred supporters recently gathered at ‘The Point’ at Lancashire County Cricket Club to celebrate the fantastic work carried out across Greater Manchester by The Fed. Our biennial dinner is a key fundraising event, and is fundamental in achieving our £1.2m annual target to keep essential services running. The evening highlighted the crucial need of plugging the gap in the our operating budget. 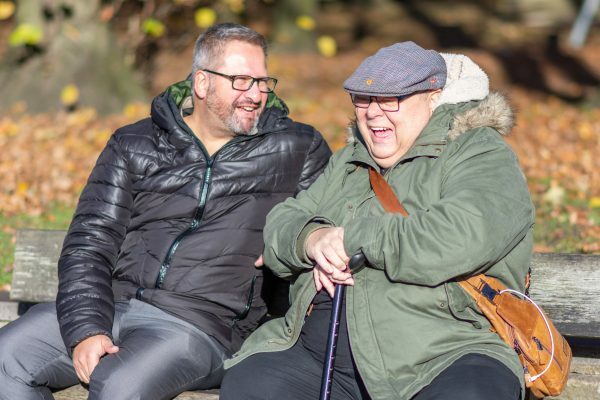 At any one time, around 95 people are receiving residential care at Heathlands Village – and for each publically-funded resident, an average yearly shortfall of more than £15,000 is picked up by The Fed. Around 36 residents receive nursing care and a further 31 tenants live in their own homes in The Fed’s Moorview Independent Living Facility. 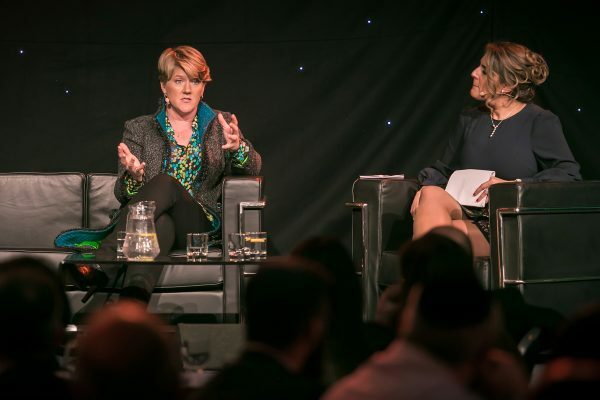 The evening was hosted by BBC presenter Samantha Simmonds, with guest speaker Clare Balding OBE, who delighted the audience with her warmth, wit and down-to-earth accessibility. 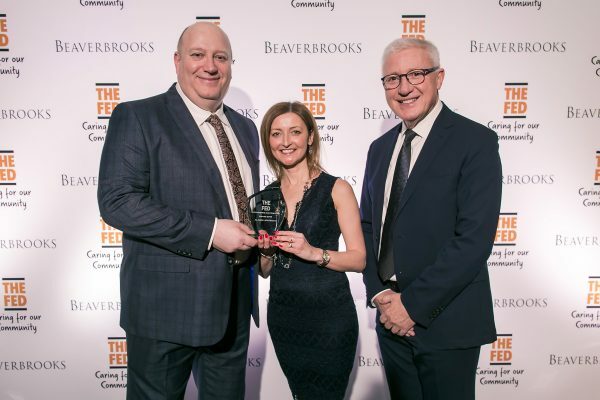 Event sponsors were Beaverbrooks jewellers, whose Chairman, Mark Adlestone OBE DL, is a former chairman of The Fed and continues to sit on our board of trustees. 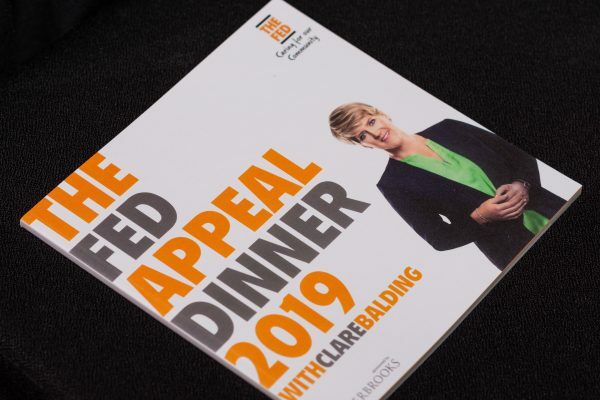 The evening also saw the launch of The Fed’s latest appeal film. In a departure from traditional story-telling, our brand-new two-minute montage depicts the breadth of services offered by – and vast number of people of all ages benefitting from – the 12 social care projects and departments operated by us. With more than 460 annual referrals to our Community Advice and Support Team (CAST) – including requests for family support – and 70 vulnerable people currently utilising The Fed’s Drop-In mental health service, the Community Services we offer have never been more crucial for the Manchester Jewish community. “Our vision remains constant, and underpins everything we do at The Fed – a community where people can live life to the full – feeling safe, valued and cared for,” said Fed Chairman, Bernie Yaffe. The night also celebrated individual staff achievements. The 2018 award for Outstanding Contribution was presented to Alison Lightfoot, Quality Assurance and Training Manager. The Dr Simon Jenkins Award for Excellence in Care went to Sister Diane Taylor, and Donna Gallagher received The Fed Employee of the Year 2018.